Why would I need self storage in Bradenton, FL? There are a variety of reasons why you might need self-storage in Bradenton, FL. How much is a storage unit in Bradenton, FL? The cheapest storage unit in Bradenton, FL is $31.00 per month. What size storage units do you have available in Bradenton, FL? In Bradenton, FL we have sizes that range from 3'x4' to 10'x30' to suit your storage needs. How much is it for a 3'x4' storage unit in Bradenton, FL? The cheapest 3'x4' storage unit in Bradenton, FL is $31.00 per month. 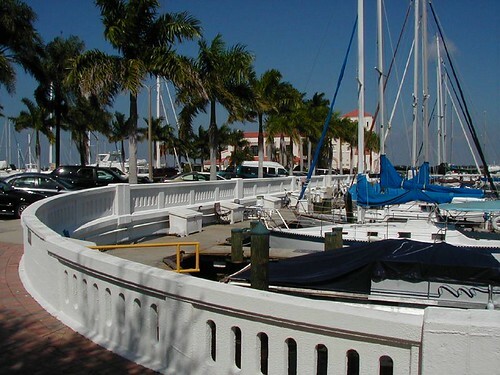 Bradenton is a lush, green city located on the scenic Gulf Coast of Florida's Manatee County. It's conveniently located just 11 miles north of Sarasota and 31 miles south of Tampa. The Bradenton population has grown steadily over the past several years, and its strong tourist industry can see the local population increasing significantly over the peak summer months. Travelers are attracted to the city for its many tourist attractions, including the Parker Manatee Aquarium, the Bishop Planetarium, the South Florida Museum and the Palm Sola Botanical Park. The area where Bradenton now stands was originally home to large Native American settlements. Spanish explorer Hernando De Soto discovered Bradenton in 1539, when his search for gold and other treasures led him to the Florida region. The city was named after Dr. Joseph Braden, who allowed locals to take refuge in his fort-style home during Native American conflicts. Bradenton began as an agricultural town, with sugar plantations and farms for citrus fruits, tomatoes, celery and other vegetables. Even the Civil War could not slow down its farming industry, and the arrival of the railroad saw Bradenton grow even stronger. The present-day city of Bradenton was formed when the municipalities of Manatee and Bradentown merged in 1943. With an unemployment rate considerably lower than the national average and positive job growth, the economic future looks bright for Bradenton. That's why many major businesses choose to operate in this coastal city. Orange juice producer Tropicana has juice production facilities in Bradenton, and the city is also home to Champs Sports' headquarters and Bealls Florida Department Stores' corporate offices. Unlike many American cities, the agriculture sector also continues to thrive in Bradenton. As a whole, Manatee County has a thriving agricultural sector that's a close second to its massive tourism industry. If you're in need of a job in Bradenton, the city's top employers provide a range of options in different industries. A few of the largest employers in the area are the Manatee County School District and the sheriff's and other county departments, which together provide thousands of jobs in the area. Bealls, Manatee Memorial Hospital and Tropicana are among the large private employers in the city. Manatee County Public Schools is responsible for the public schools in Bradenton and its neighboring communities. If you'd prefer, you can also enroll your child in one of several private schools in the area. Bradenton also has a local college campus, which is a convenient option if you're considering pursuing higher education. The State College of Florida - Manatee Sarasota is a mid-size, four-year public college that offers a variety of undergraduate degrees. Utilities: Florida Power & Light (FPL) is Bradenton's central energy provider. Your residential water will be managed and billed by the city. Garbage and Recycling: The Manatee County Solid Waste Division operates a fleet of collection trucks to pick up residential trash and recyclables. Your collection schedule is determined by your specific location. Transportation: Personal vehicles are the preferred method of transportation for most Bradenton locals, and bikes, scooters and golf carts are fairly popular as well. Public transportation is somewhat limited, but the MCAT does provide some routes in and around Bradenton. Bradenton has an excellent mix of housing options to appeal to families of all sizes, tastes and budgets, ranging from luxurious waterfront properties to more compact condominiums and townhouses. The median home price in the city is higher than the national average, but on par with Manatee County averages. Our lowest priced units in Bradenton, FL average $49.67 per month. 207 people have reserved units in Bradenton, FL in the past 30 days. There are 3 locations within Bradenton, FL's city limits. There are 2 locations in Bradenton, FL that offer AC and Heating features.